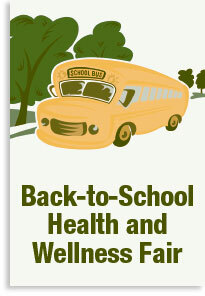 Assemblymember Jim Cooper (D - Elk Grove) has announced he will host a back- to-school fair. The event will be held on Saturday, August 5 at the Sam & Bonnie Pannell Community Center and will include of an assortment of family activities along with free haircuts and backpacks for K - 8 students which will be distributed on a first come, first serve basis. Dental screening and immunization vouchers will be available. For more information, please call (916) 670-7888 or visit this website.